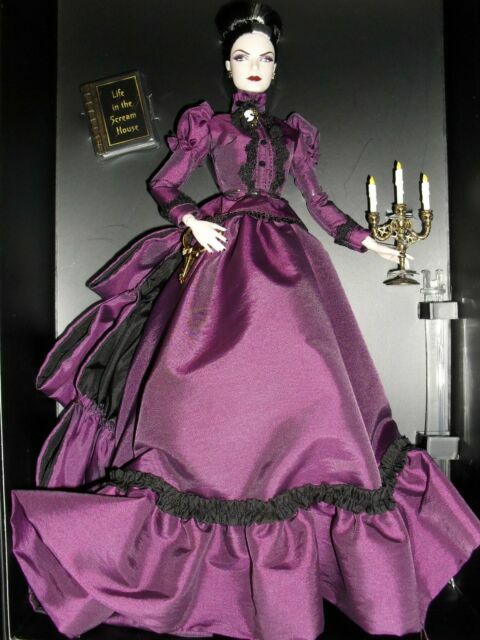 item 3 Mistress of the Manor Barbie Doll Haunted Beauty Collection SHIPPER Gold Label " -Mistress of the Manor Barbie Doll Haunted Beauty Collection SHIPPER Gold Label "
Her clothes are to die for. I was going to remove her from the box but I can't I don't want to spoil such a lovely image. Bob Mackie Empress Bride 1992 Barbie Doll New!! 2005 FASHION FEVER STYLES FOR 2 BARBIE & YOU GIFTSET H8575 Excellent!! !